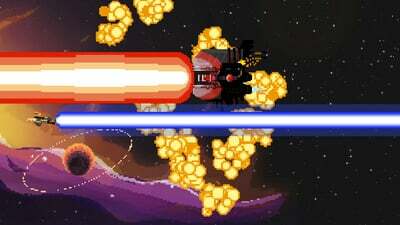 By now my Steredenn review has probably shown you that the game is definitively aimed at expert Shoot ’em up players. 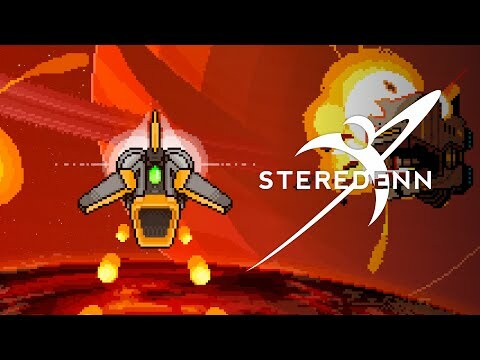 I would not recommend Steredenn to casual players since it is a very tough game and it will prove to be very frustrating due to its high difficulty level. 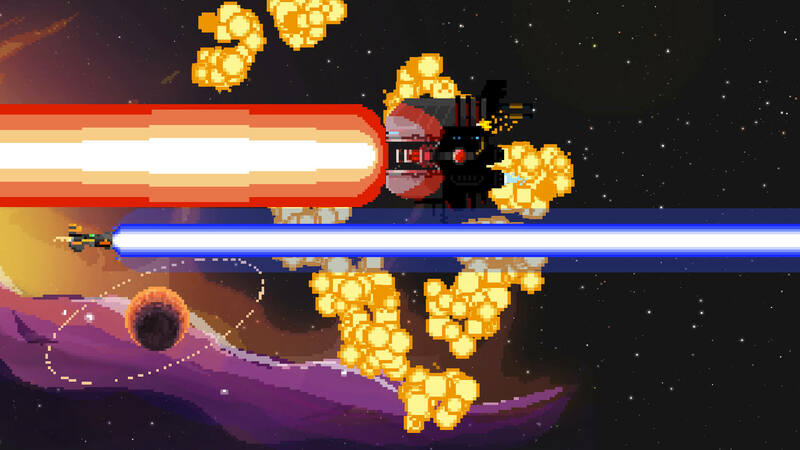 I had a lot of fun playing the game for my Steredenn review, learning the movement and attack patterns of enemies and the deadly bosses, making the most of the new weapons I found and selecting the power-ups that best complemented my playing style. Even once you do manage to defeat all bosses and complete the game, you’ll still have the daily run to test your skills with a new thing to do every day of the week! On top of this, there’s also Arena where you can take on each of the game’s bosses you’ve defeated to try and destroy them as quickly as possible. And then there’s Superplay, but to try that one, you’ll first have to complete the game once. I highly recommend you buy this game today, since at $12.99 it definitely offers more than enough content and entertainment for its asking price. This is tough to nail down. The random generation of enemies on screen is frequently too unpredictable to provide a consistently enjoyable experience. The controls are spot on, and the artwork is beautiful. The game does manage to retain value, but the value of the additional modes is something that could vary from person to person. It's a solid shooter that works well in the player's hands, and erratically on screen. It shouldn't be overlooked, but for those seeking a deep, challenging experience, Steredenn isn't the cure for that itch. 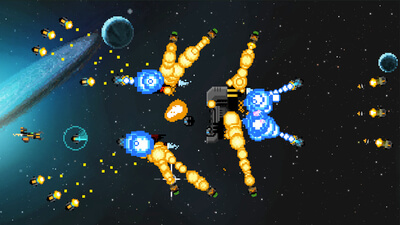 Even though it can be brutally difficult and is a little short on content, Steredenn remains a top-of-the-line shoot 'em up.